Discussion in 'The Beauty Cupboard' started by LucindaMay, Nov 19, 2009. What makeup, apart from neutrals, looks good with such an intense, standout hair color? I love wearing bright lips, and such. All I have done so far, is switch my pinkish blush, to a more peachy color (Nars "Gina"). What about going for the Ashlee Simpson look? I think she looked fantastic with red hair. Check out Marcia Cross' thread - she is always gorgeous! Ashley looks a bit dull for me. I prefer something a bit more intense.. Like a bold lip, or intense eyes for when I go out. During the day, I'm pretty bare faced though, so Ashley's choice of colors would work. And I will head over to Marcia Gross' thread. i think a lot of this also depends on what type of redhead you are and what skin tones you have etc -- i am a very pale but yellowy-skinned coppery redhead, and my skin has more yellow/orange tones than pinks. a lot of natural redheads have a very fair/pink complexion and a lot of those pinkish/blue tones still look okay on them -- not my case. i find that blue-based tones look disgusting on me, but warmer bases work very very well as long as they aren't TOO orange. 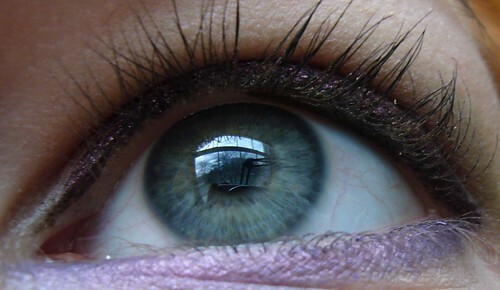 red and brown-based purples look great -- i have about 8 different eggplant/plum eyeliners + shadows, which contrasts very well with my red hair and green eyes. subtle eyes with a very, very dark orangey-brick red lipstick also works great for me. my 'daily' routine is a thin line of purple-black liquid liner (mac fluidline in uhhh the dark purple) and a burnt sienna lipstick that's very close to my natural lip colour but darker. more dramatic is running a thin dark brown or black liner in the waterline and then smudging a bit with a purply-brown shadow. i've been rocking (and posting here compulsively about it too) near-black lipstick for nightwear lately as well -- i find having such bright hair makes it look less goth, and with the rest of my face bare i love the drama. alternatively, straight-up heavy black eyeliner/shadow and a bare lip works really well for me too. metallic gold + coppers also look good on me, but that's a skin tone issue too i think, since my skin is yellow to begin with and it just adds a nice shimmer. If you want bold looks that go with red hair you should check out Hayley Williams. ^ I love how Hayley uses colors in her eyes and the hair really brings it out. 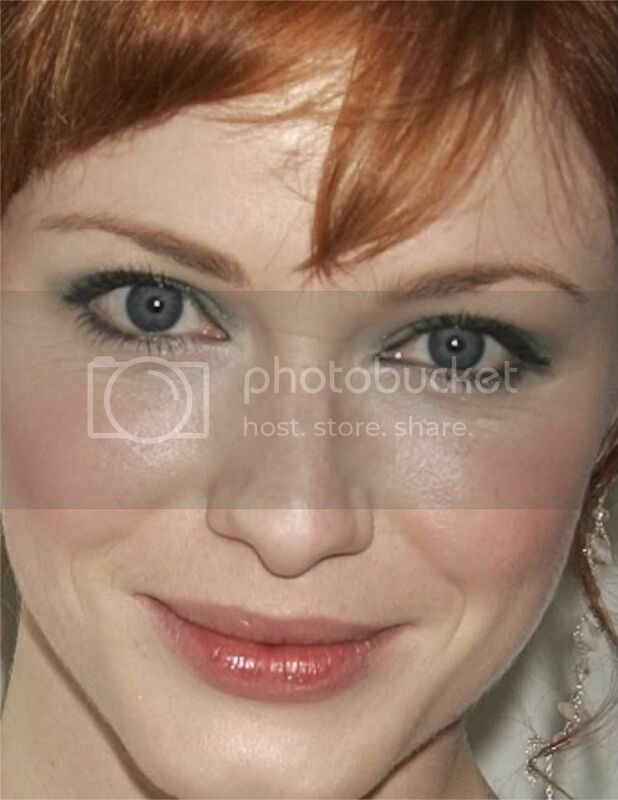 My ginger friend Kaitie uses black mascara and I think that color is too harsh with her pale skin tone. Does brown work better? ^^ depends. i love harsh eyemakeup with pale skin so always use a ton of black everything... try a few colours until you find what works best for you dark brown or a 'soft black' can be less harsh if you prefer. also, could be her other eye makeup and not the mascara -- i find little difference between mascara colours on most people. ^ I agree, everyone's different and you have to play around to find what works for you. I dye my hair red and I love doing bright eyelooks. Here are some photos I've taken of my own makeup. 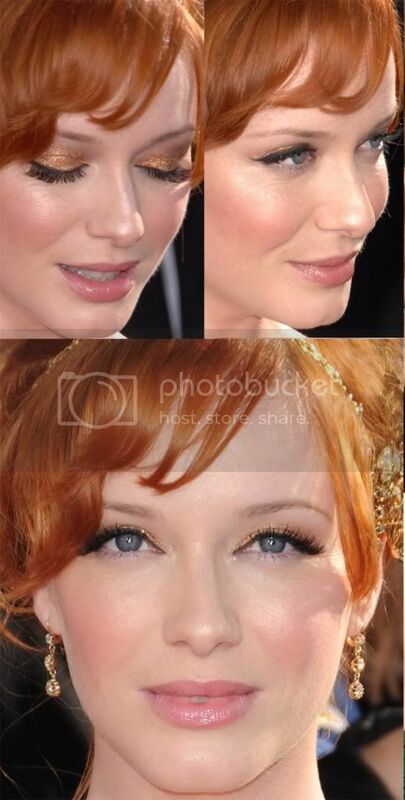 Christina Hendricks does great makeup. Some more great Christina pics.